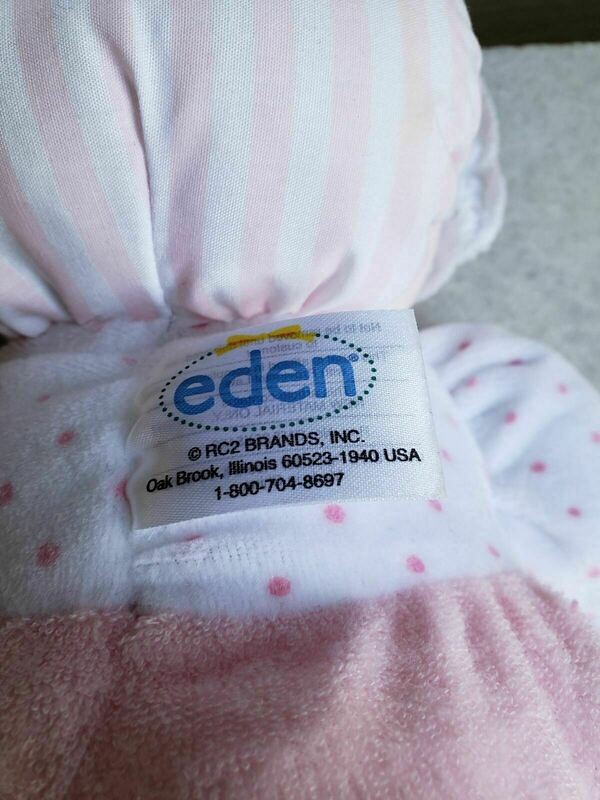 Eden Toys Terry Cloth Pink Doll Rattle STUFFED ANIMAL PLUSH TOY Eden baby doll plush stuffed toy rattle. 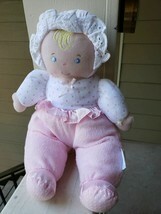 13" Soft plush doll, blonde bangs embroidered on a darling face with embroidered blue eyes, pink nose and pink mouth. 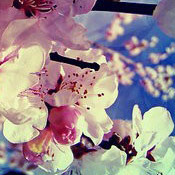 She's wearing a pink and white outfit top is white velour with pink polka dots stuffed with crinkle material. 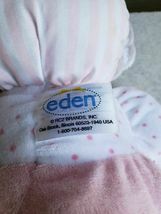 Bottoms are pink terry cloth with satin feet with non skid dots on the bottom. 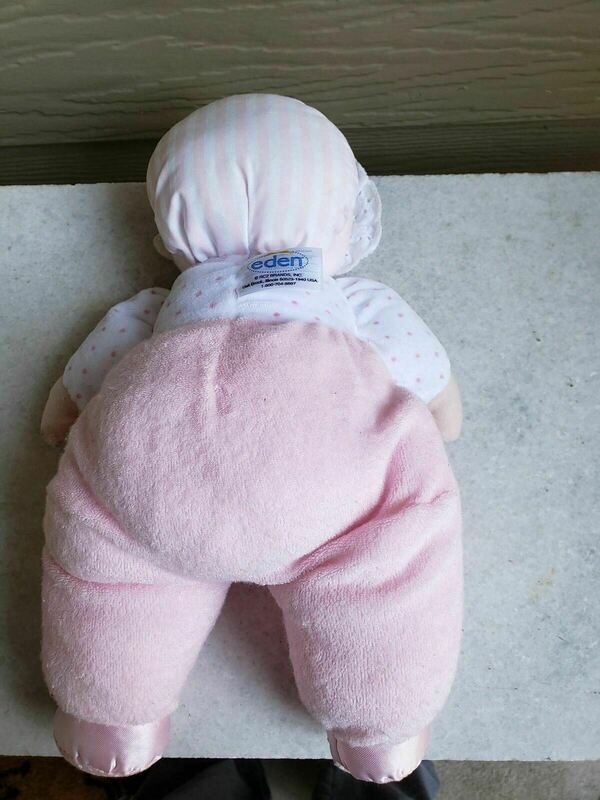 Rattle inside.